Aurora grew from the extension of Yonge Street north from Toronto into the Holland Marsh area. Along with Richmond Hill and Newmarket, its neighbours to the south and north, Aurora serves as a bedroom community for the Greater Toronto Area. Although served by both GO trains and buses, residents are predominantly car owners, even when relying on transit to and from work. The table below shows Aurora car insurance cost for a sample driver. We surveyed the car insurance prices in the city of Aurora for the purpose of illustrating. Auto insurance rates depend not only on where a motorist lives but also what coverage they choose, what car they drive and any blemishes on their driving record. The impact of the Town of Aurora does nudge car insurance rates up, compared with communities such as Guelph to the west. As a GTA suburb, however, Aurora’s rates are much lower than cities such as Vaughan and Brampton. A driver’s choice of insurance provider also has a big effect on premiums because of the insurance industry structure in Ontario. While heavily regulated by the provincial government, insurers operate in a competitive market. Subject to approval, every company devises its own rates and procedures. This presents the car insurance consumer with a wide range of insurance products and prices. While many consumers think auto insurance costs about the same from every company, this isn’t the case. Seeking to gain competitive advantage, each company uses unique underwriting rules. Therefore, one driver may see hundreds of dollars in price differences between companies for the same policy. All provinces in Canada require that cars on the road carry insurance. In Ontario, the basic auto insurance policy has four components, the key to being third party liability and accident benefit coverage. Third party liability covers at fault drivers against lawsuits arising from an accident. Ontario requires $200,000 of liability coverage. In today’s world, settlements awarded for serious accidents may be much more expensive. Drivers remain liable for amounts in excess of their coverage, so many opt for a policy upgrade. As well as liability, accident benefits may also fall short under some circumstances. Changes to legislation in 2016 cut the amount insurers pay for certain combinations of benefits. While drivers should not be substantially affected in most cases, there are situations where insurance companies pay only half of what they would prior to the changes. Motorists may add additional accident benefits coverage now as well. All drivers can, when they qualify, request discounts under their insurance company’s product offerings. As with premiums, each company has different discount programs, so all discounts won’t be available from all insurers. Typical discounts include programs such as combining policies. For example, if a driver holds both auto and home coverage with one insurer, there’s a good chance the company applies discounts to both policies. Similarly, households with more than one vehicle may earn discounts by insuring all vehicles with one company. Other discounts base on milestones. Reaching age 55 or retiring from a career may qualify for rate reductions with some insurance providers. Similarly, some insurers offer loyalty discounts when a motorist has held coverage with them for a certain number of years. Safe driving discounts, for the period without tickets or insurance claims, also qualify with some providers. Key to the car insurance discount feature is that the driver asks their insurer about what discounts may be available and requesting addition of these when conditions are met. Most insurance companies do not automatically add discounts, even if they have qualifying data, such as a driver’s age. Yonge Street and Wellington Street is the main intersection in town. This is where the heaviest traffic congestion occurs in Aurora. Wellington Street and Bloomington Road have interchanges on Highway 404, east of town, providing access to Toronto as the Don Valley Parkway, south of Highway 401. Highway 404 has access to both the 401 and 407ETR. There is no direct connection to Highway 400 to the west through Aurora. Interchanges at King Road, Lloydtown-Aurora Road, and Davis Drive access the 400, but there is no continuous east-west route through Aurora to any of these access points. As well as Yonge Street, Bathurst, Bayview, and Leslie provide north-south arteries through town. While each continues into Toronto, Leslie has some jogs and reverts to two lanes in places. The Ministry of Transportation for Ontario includes Aurora in its York Region traffic report. Its 511 Traveller Information service provides online information for road conditions across the province. 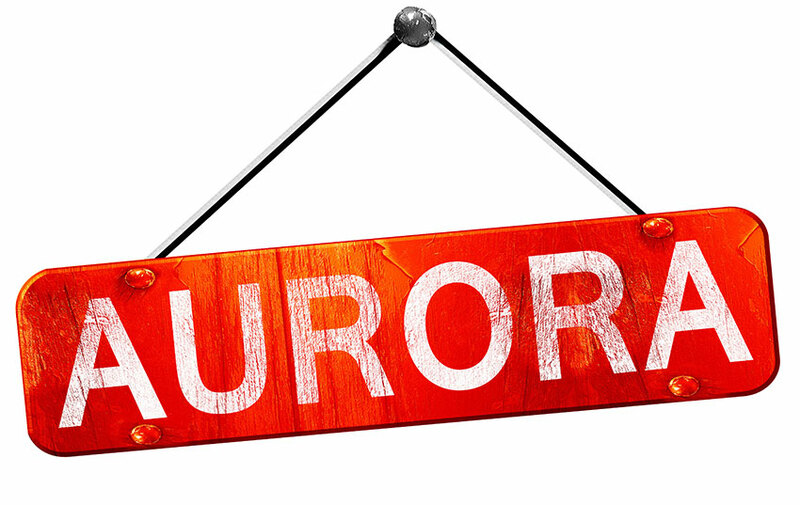 The Town of Aurora maintains online information on roads and traffic, including news on specific closures and service interruptions. York Region provides the same information for roads that it maintains in and around Aurora. In particular, road closure information remains valuable to Aurora drivers. The Weather Network provides weather forecasts and alerts for Aurora motorists online as well as through television broadcasts. The closest DriveTest driver examination facility is at 320 Harry Walker Parkway South, in Newmarket. As well as south to the 401, Highway 404 now continues north to a point just east of Cook’s Bay, the southern tip of Lake Simcoe. Proposals exist to extend the 404 to Beaverton, along the east side of the lake. Yonge Street was part of Highway 11 until sections of the route were downloaded to regional and municipal levels. Though the street officially only ever ran north to Barrie, the Guinness Book of Records counted the entire length of Highway 11 when erroneously calling Yonge Street the longest street in the world. Yonge Street can see major traffic congestion on Sunday afternoons due to drivers avoiding high volumes on Highway 400. This occurs most often in the summer months as cottagers return to the city. When Aurora drivers comparison shop for the lowest car insurance rates, many turn to the car insurance calculator here at Ratelab. Enter your home postal code in the space provided below to start the hunt for the best rates on the perfect insurance match.